Need a Freelance Writer to hit that Perfect Mix of Professional and Friendly? I love to help others give their business a boost with customized content that’s both professional and friendly. My writing attracts, motivates, and inspires. Whether you’re a small business or entrepreneur, my content can resonate with your target audience and attract new leads for you to pursue. Inspirational content ­that motivates your readers to take action and stop waiting for the perfect moment. Personal Development ­blogs that help your readers grow both personally and professionally. Travel ­tales that excite readers about new locales while teaching them everything they need for their trip. Lori is a talented blog writer who goes above and beyond in her returns. 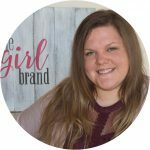 She not only writes the post, but finds incredible links and suggested reading to continue inspiring my readers beyond the length of her blog posts. Lori is smart, punctual, and absolutely dedicated to delivering the best motivational content possible. I highly recommend her services.